Thank you for taking a moment to let me introduce myself. This is my chance to write a personal statement to you. When you read the “Education and Medical Training” section, you will understand a lot about how and what I’ve been doing most of my life … and why, when we meet, you see plenty of gray in my hair. Our Newport Skin Cancer Dermatology practice includes daily battles with cancer. The relationship between a doctor and a patient joining forces to take on cancer is unlike other relationships. Our doctor-patient relationship requires levels of mutual trust and respect not often found in other environments. It is this extraordinary partnership that requires that your skin cancer treatment and surgery be done deliberately, never rushed and include compassion for and commitment to your well-being. 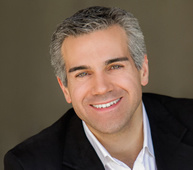 I am a Dermatologic Surgeon and I specialize in a procedure called Mohs Micrographic Surgery. I was fortunate to learn this important procedure through a rigorous year long Fellowship training in Mohs and Reconstructive Surgery, the current equivalent of an apprenticeship, with an internationally recognized and renowned surgeon, Richard G. Bennett, M.D. Mohs Micrographic Surgery is the valuable tool we use to fight the skin cancers we treat and cure. For more detail about Dr. Rotunda please read below and view his CV (PDF). Dr. Rotunda is one of only several fellowship-trained Mohs micrographic skin cancer surgeons in Orange County, CA and is the only full time dermatologist in Orange County to devote his practice "almost" exclusively to skin cancer ("almost" because Dr. Rotunda is now offering to treat patients with the new FDA approved Kybella™, a non-invasive treatment for fat, which he co-invented. Please read more about Kybella™). 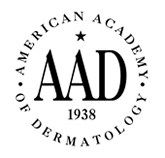 Physicians who are members of the American College of Mohs Micrographic Surgery have taken one year of training in a Mohs micrographic surgery fellowship after completing three years in a dermatology residency. Mohs micrographic surgery requires a single physician to act in two integrated, but separate and distinct capacities: surgeon and pathologist. While deciding where to establish a Mohs micrographic and reconstructive private practice, Dr. Rotunda observed that Newport Beach skin cancer rates were some of the highest in the area. Because there were no full time, private practice Mohs surgeons within Orange County, he saw an opportunity to cure Newport Beach skin cancer. Dr. Rotunda quickly became a resource for local physicians and Newport Beach skin cancer patients, as well as physicians and patients living in areas as far away as San Diego, Riverside, and Los Angele Counties. Dr. Rotunda is grateful and privileged to practice what he loves, while being a resource to referring colleagues who need their patients seen by an experienced Mohs surgeon in a timely manner. Regan C, Beynet D, Rotunda AM. Alar notching and retraction. Dermatol Surg 2016. Serowka Lane K, Rotunda AM. An infraorbital defect. Dermatol Surg 2015;41:1320-22. Rotunda AM, Cabral ES. Free cartilage batten graft with secondary intention to repair a full thickness alar wound. Dermatol Surg 2014;40:1038-41. Beroukhim K, Rotunda AM. Topical 0.5% timolol heals a recalcitrant irradiated surgical scalp wound. Dermatol Surg 2014;40:924-6. Rotunda AM, Hu XY, Brodsky M. Advantage of the ½ circle suture needle for reconstructing small cutaneous surgical wounds. Dermatol Surg 2014:40:592-595. Rotunda AM, Bennett RG. The forehead flap for nasal reconstruction: how we do it. Skin Therapy Lett 2006;11:5-9. Duncan D, Rotunda AM. Injectable therapies for localized fat loss: state of the art. Clin Plastic Surg 2011;38: 489–501. Rotunda AM. Commentary to Kato et al, Mixed cell granulomatous panniculitis on the cheek due to injection of solution containing phosphatidylcholine and deoxycholate. Dermatol Surg 2010;36:1782-5. Rotunda AM, Jones DH. HIV-associated lipohypertrophy (buccal fat pad lipoma-like lesions) reduced with subcutaneously injected sodium deoxycholate. Derm Surgery, Dermatol Surg 2010;36:1348-54. Rotunda AM. Injectable treatments for adipose tissue: terminology, mechanism and tissue interaction. Lasers Surg Med 2009;41:714-20. Rotunda AM,Weiss SR, Rivkin LS. Randomized, double-blind clinical trial of subcutaneously injected deoxycholate versus a phosphatidylcholine/deoxycholate combination for the reduction of submental fat. Dermatol Surg 2009;35:792–803. Rotunda AM. Injection lipolysis: speculation vs science. J Cosmet Dermatol 2006;5:302. Rotunda AM, Kolodney MS. Mesotherapy and phosphatidycholine injections: historical clarification and review. Dermatol Surg 2006;32:465-480. Rotunda AM, Avram M, Avram AS. Cellulite: Is there a role for injectables? J Cosm Laser Ther 2005;7:147-154. Rotunda AM, Ablon G, Kolodney MS. Lipomas treated with subcutaneous deoxycholate injections. J Am Acad Dermatol 2005;53:973-8. Rotunda AM, Suzuki H, Moy RL, Kolodney MS. Detergent effects of sodium deoxycholate are a major feature of an injectable phosphatidylcholine formulation used for localized fat dissolution. Dermatol Surgery 2004;30:1001-1008. Ablon G, Rotunda AM. Treatment of lower eyelid fat pads using phosphatidylcholine: clinical trial and review. Dermatol Surgery 2004;30:422-7. If you are interested in reading the abstracts of peer-reviewed manuscripts written by Dr. Rotunda and his co-authors, please click on the link below. If you would like the articles themselves, please contact our office and we would be happy to assist you. Dr. Rotunda and his staff are honored to welcome Kelly M. Bickle, M.D. into our Newport Skin Cancer practice. She will be available to perform Mohs, Dermatologic and Reconstructive surgery. Dr. Bickle was born in Columbus, Ohio and grew up in Houston, Texas. Like Dr. Rotunda, Dr. Bickle completed her Mohs skin cancer and reconstruction fellowship with Richard G. Bennett, M.D., in Santa Monica, CA. Drs. Rotunda and Bickle practice with similar philosophies and have become close, trusting colleagues over the past decade. She is similarly 'available, affable and able' as Dr. Rotunda. Bickle K, Bennett RG.Three rhombic flaps for repair of an upper lip wound. Dermatol Surg 2009;35:557-6. Bickle K, Bennett RG.Tripier flap for medial lower eyelid reconstruction. Dermatol Surg 2008;34:1545-8. Bickle K, Bennett RG. Combined hinge flap full-thickness skin graft for a through-and-through nasal defect. Dermatol Surg 2008 Mar;34:389-92. Bickle K, Glass LF, Messina JL, Fenske NA, Siegrist K. Merkel cell carcinoma: a clinical, histopathologic, and immunohistochemical review. Semin Cutan Med Surg 2004 Mar;23:46-53.